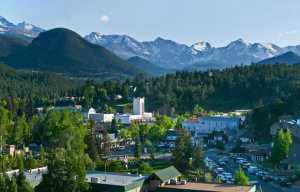 Take a remarkable journey to the heart of the Colorado Rocky Mountains and discover the charming village of Estes Park hidden within the snow-capped peaks of the majestic mountain range. 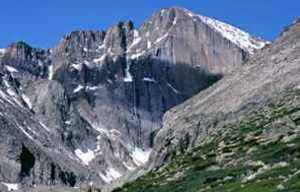 Blanketed in a colorful array of wild flowers scattered among towering pine groves, The Rocky Mountain National Park is host to some of nature’s most regal wildlife. Spot an elk, deer, bighorn sheep or black bear while hiking through the wilderness trails. Enjoy the peace and quiet while fishing out on the lakes and streams. Crank up the adventure and surge down the river on a white-water rafting excursion, or spend a milder afternoon shopping in the quaint novelty stores in the village. Encased in the natural beauty of a lush green forest, The Historic Crags Lodge rests on the north side of Prospect Mountain, merely three miles from the breathtaking scenery of Rocky Mountain National Park. Built for comfort, this mountainside lodge offers a cozy hideaway with a rustic décor, featuring traditional wood furnishings and charming appointments. With an outdoor pool, hot tub, and easy access to all Estes Park has to offer, you may never want to leave this cabin retreat.